What does it take for a long-time music editor to throw in the towel and capitulate during a concert for the first time? Imagine Dragons delivered a disappointing as well as fitting prime example in Zurich. 12,800 concertgoers. An up to burst filled Hallenstadion. Sold out to last place. Ideal conditions for a grandiose concert evening with the American indie rock band Imagine Dragons. But then somehow everything was different than hoped. Already in the very promising support act Sunset Sons the mix was not perfect, but if you compare it with the performance of Imagine Dragons, it was still reasonably acceptable. The US-Australian-indie rock quartet Sunset Sons did not find each other until about two years ago, but with their rolling bass runs and driving drum beats they also caused a sensation in the Zurich Hallenstadion. With a coolness and naturalness, the four approach the Hallenstadion, so that one would have thought that Sunset Sons old acquaintances of the Limmat city be. But on the contrary, the band celebrated its CH premiere tonight. Sunset Sons have already released four EPs and their debut album is scheduled for next spring, with which they will make another stop in the Limmat city in April – but then headlining. 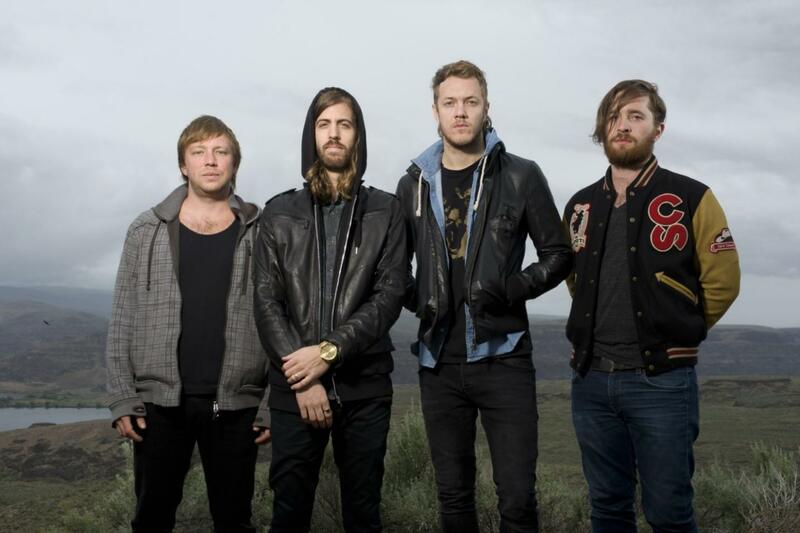 To understand the disappointment that Imagine Dragons set off tonight, we go back in time. Back in Maag Hall, about two years ago, it was only a guess that Imagine Dragons would conquer even the big stages of Switzerland, today the prophecy came true. Imagine Dragons played in front of a sold-out house in Zurich’s Hallenstadion on their “Smoke + Mirrors” tour. The performance also brought some expectations – not only musically but also visually. Amid roaring applause and a thunder-roaring, raging bass, Imagine Dragons stepped onto the stage for “Shots”. At that time the euphoria was still big on what is coming: Seating became an alibi exercise. The crowd stands, the crowd screeches, the crowd celebrates. No one could have guessed that the euphoria would soon turn into disillusionment and disappointment. Just as little as anyone could have guessed, that that thunderous, booming bass should be nearly seamless for the next 60 minutes. Music may be loud, especially at a concert, but the sound mixing failed completely at the concert in the Hallenstadion. Like a jackhammer, the music was carved into the ear canal without any detours, and every nuance between song and instrumental accompaniment was transformed into a musical loudmouth that was much too loud despite earplugs. Also, the mix of “Trouble” left much to be desired and slowly but surely it became clear that the sound engineer emerged this evening as a serious “Troublemaker”. Even though the concertgoers were nevertheless in a good mood, the collective “It’s Time”, co-popular with the audience, could not distract from the aforementioned abuses. The question of why the sound engineer did not respond remained unanswered. The longer the concert lasted, the more questionable was the mix. If the crackle that you got to hear over and over again, or have it within minutes Imagine Dragons managed to bring the amplifiers in the Hallenstadion to the edge of their volume control possibilities. Why the audience, despite the deafening noise still clapped enthusiastically is still a mystery. Last but not least, one could not shake the feeling that Imagine Dragons wants to pick up the trophy as the “loudest band in the Hallenstadion” at any price – but unfortunately with acoustic-qualitative losses. The result: capitulation after 60 minutes. 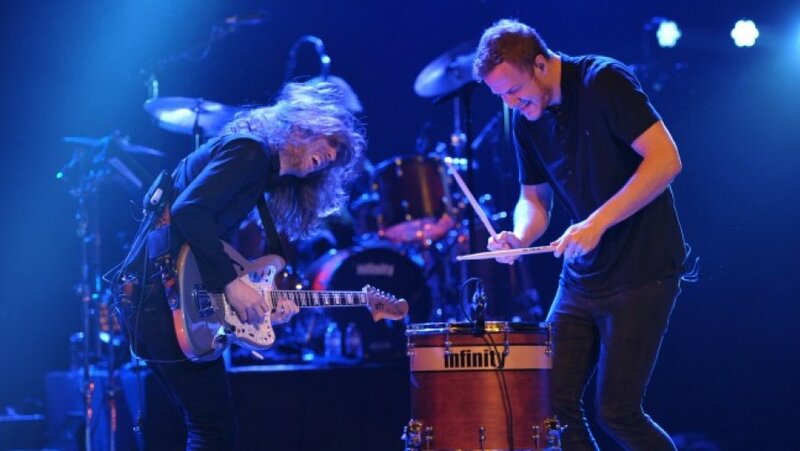 Let’s hope that the next concert by Imagine Dragons can be enjoyed in its fullest length.